Home/Featured/Queer Nation and Gay Rights Group Propose Boycott on Russian Vodka. Zazdarovje! With the new anti-gay laws in Russia which lead to the arrest of the gay Dutch tourists in Russia, gay rights groups are wanting to boycott Russian Vodka. According to Towleroad, Queer Nation has begun an organized boycott of Russian vodka over the country’s virulently anti-gay record. In light of the Putin regime’s attacks on the LGBT community, Queer Nation is calling for a worldwide boycott of Russian vodka. 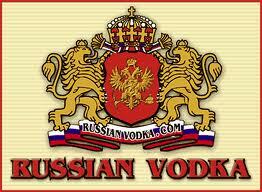 Do not buy or drink Russian vodka: Brands include Russian Standard and Stolichnaya. Demand that bar owners do not buy or serve Russian vodka. Ask your favorite club promoters, DJs, and entertainers to insist that Russian brands are not served in the venues in which they perform. It’s time to target Russia. Dump Russian vodka! The organization expects to have additional upcoming actions that the LGBT community and allies can take to send a message that anti-gay violence will never be tolerated. The announcement follows a similar call by Russian LGBT activists to boycott the upcoming 2014 Winter Olympics in Sochi. Why is the graphic of Smirnoff Vodka?!?! It is not a Russian Vodka. You’re right!!! Thank you! It has been changed!